Options for All. W2P features expand PSP capabilities.. Web to print (W2P) solutions enable print providers to extend service offerings and better integrate workflows from order submission through delivery. Our January issue discusses the latest trends and challenges regarding W2P applications in the print space today. We complement the article with a W2P round up on solution highlights. PageDNA offers a hosted solution with datacenters active in Australia, Europe, and the U.S. The company says it gurantees a 99.9 percent or higher uptime and utilizes Amazon’s cloud infrastructure for central processing unit and disk needs. It works primarily with in plants in education and larger corporate settings, commercial printers with annual sales above about $3 million, and with print and promotional products distributors of all sizes. The platform features job ticketing, online order management, inventory control, kitting, and mail merge applications. Features include an online job pricing engine that provides end users with live quotes for digital, wide format, and offset jobs. They are compatible with multiple management information systems (MIS) using standardized integrations that use published application programming interfaces (APIs). For mobile, the company updated its Order Manager to feature a responsive, single-page application design, and previously removed dependencies on non-iOS compatible technologies such as Flash. Pageflex handles virtually any print setting’s needs through its iWay and Storefront products, both with mobile options. Both solutions can be localized for multiple languages, currencies, and business requirements such as taxation and payment gateways. Pageflex iWay is a licensed solution that handles traditional W2P tasks like online ordering as well as production automation, with job definition and job management format support for print workflows, and support for multiple branded websites. It handles multiple document types—including static items, customizable print, and user-uploaded native files—and capabilities such as preflighting, imposition and ganging, and print queue management. End users benefit from estimating, pricing, and payment capabilities. Optional modules for advanced customization and integrated offline ordering are available. Pageflex Storefront is built on a composition engine that offers comprehensive functionality for workflows, as well as the ability to modify and customize the workflow and interface to meet customer requirements. Available in both hosted and licensed versions, it utilizes APIs to extend and integrate the core system. The package is designed for business to consumer (B2C) as well as business to business (B2B), and an option for cross-channel marketing is available through Pageflex Campaign Manager. “Superior customization, including patented ‘flex’ capabilities for document customization, supports extensive variability from a single document—thus allowing customers to enable customization without risking design, branding, or legibility,” states Leslie Wengenroth, director of marketing, Pageflex. Pixta, Inc. targets the wide and large format print markets with a cloud-based solution focused on online job submission, ecommerce, and brand loyalty. Mobile ordering is supported from smartphone browsers, approvals are supported via email. The company touts the solution’s easy setup and functions like inventory management, approvals process, reorders, drag and drop administration, and FedEx integration. “Once an order is processed, it automatically enters the workflow/fulfillment system, notifying stakeholders. There is no re-keying of data necessary, and the job already has the production attributes setup and ready from PixtaCatalog,” adds David J. Rudolph, founder, Pixta. SmartSoft by PressWise is an end-to-end solution available as a cloud-based Software as a Service(SaaS) model. The company allows some clients to self-host. In either scenario, the client can create customizable B2B and B2C storefronts with unlimited end user accounts, each with a built-in website and catalog of documents and other collateral. There are no additional fees and no limit to the number of templates, products, catalogs, customers, and orders. All storefronts integrate into the MIS to streamline the workflow, with online orders converted into electronic barcoded job tickets that move from press and production to finishing and shipping. “Electronic job tickets are generated and flow with the order through the shop, and automation tools such as auto-impositioning, print ganging, and batching push those orders efficiently through the shop. Dashboards give management and production staff instant access 24/7 to the production queue and order updates sent back to the customer,” explains Tony Tarpey, VP of marketing, SmartSoft. The PressWise solution is intended for a variety of commercial printing venues, including quick printers, wide format shops, and hybrid offset/digital shops. Mobile ordering is available for end users, as are specialized sites for products such as photobooks or scratch cards. These are marketed to the public as print ecommerce sites, while private ordering sites are maintained for key customers. Print Science offers a hosted solution for commercial printers, digital printers, quick printers, in plants, and wide format printers. Functions include online quotes, payment, file upload, online design capability, proofing, job approval, production management, and links to accounting and enterprise resource planning packages. Clients especially utilize the solution for online job submission, ecommerce, and brand management, according to John Weissberg, president, Print Science. Mobile ordering is also available for end users. RedTie has several tiers of W2P products so clients can choose the one that fits their needs. The first is storefront template software with customization and branding tools. This solution features print on demand, variable printing, a built-in inventory system, and order fulfillment. Though popular for B2B, the package is also utilized for B2C and B2B to consumer environments. The next level of RedTie offers enhanced storefronts that can be personalized with instant pricing, client discounts, payment methods, product types, and file formats. End users can upload any kind of file, or the client can limit which formats customers can use. A third package targets more experienced print buyers, offering the end user instant quotes, online job submission, file uploading, and job tracking. In addition to the three tiers, RedTie supplements its products with managed services, training programs, and business development. Another option is the RedTie App Space, which combines Web services with a software development kit to help the client develop custom applications. Customers can also utilize one of several existing App Space applications. Rochester Software Associates offers hosted and licensed options for its WebCRD product, which they sell only to in plants. WebCRD enables core functionality such as storefronts, ad hoc and catalog Web submission, estimation, file conversion, and approval. However, the product strives to supply special features for in plants that want “lights out” printing. These include integration to enterprise systems that survive upgrades; data collection and reporting for analysis; MIS functionality for invoicing and key needs; and printing direct to any production device—not just a hot folder—without re-ticketing. Each site is designed to have its own printing capabilities, work queue, pricing capabilities, finished goods inventory tracking, and reporting. Other available features include entitlements and forms management, usually utilized by end users with regulatory and compliance needs. “Our exclusive fast user check out with Intelligent Document Setup automatically sets print options based on document attributes; and a single-page shopping cart experience. We offer more and deeper integrations to internal corporate and enterprise systems such as accounting/enterprise resource planning/eProcurement and user authentication and rights, in a variety of operating environments,” explains Elisha Kasinskas, marketing director, Rochester Software Associates. Rocketprint Software provides B2B and B2C solutions for new websites or integration with existing ones. They offer quoting engines specifically built for digital, offset, wide format, and screen printing products. The solution is available on a monthly subscription basis, with no startup fees or contracts. “We offer an affordable hosted solution with all the tools and flexibility needed to succeed in the W2P area. 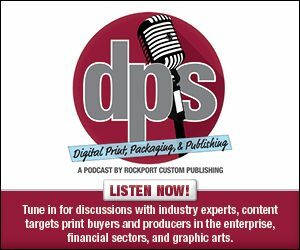 Rocketprint Software is driven to help you build your online business by using proven methods and strategies,” says Gil Newsom, development manager, Rocketprint Software. Features of Rocketprint’s solution include integration with WordPress sites via a plug-in, a turnkey option, and editable templates for end users to populate and proof online. Clients receive unlimited branded buyer portals that can be custom configured for components like payment options, shipping options, and access control. Inventory control, order approvers, kitting, and order reporting are also handled through the system. Two free modules are available, QuickQuotes and WorkFlow. QuickQuotes produces internal quotes that can be printed or emailed, while WorkFlow module is used to schedule and track all orders through each production step. Mobile ordering capabilities are also available. Tukaiz LLC targets companies and organizations that buy and need marketing production services. “Solutions are based around digital communication and traditional communication as well as online creative, print on demand, and fulfillment services. Our goal is to create a holistic approach to marketing for our clients,” explains Frank Defino Jr., VP and managing director, Tukaiz LLC. Tukaiz adapted its technology to provide responsive solutions for mobile, tablet, and desktop, depending on the need of the marketing client. They service companies from Fortune 100 entities to small start-ups. “It is important to understand an organization’s needs and the communication strategies and challenges they experience in order to develop a flexible and scalable solution,” notes Defino. Vpress Ltd offers cloud-based SaaS solutions, Coreprint, aimed at print providers and print management and stationery companies, as well as directly serving end users and large corporations, nonprofits, and government entities. A hosted solution, Coreprint, is available on a pay-as-you-go basis, with no monthly license fees. Online ordering is achievable from any device, around the clock. Coreprint is sold as a managed solution for companies that want Vpress to create the templates and manage the storefronts. It’s an entry-level package featuring a lower price point. Coreprint Pro is Vpress’ option for clients to create their own templates and manage the site. Clients can purchase modules as needed, including a cross-media module on the W2P homepage, request for quote, and CoreDirect for variable data printing (VDP). Clients use the Coreprint engine to create either B2C or B2B sites. “So, on one end of the spectrum, a small managed entry-level solution might suit a smaller printer and on the other end of the spectrum, a huge print management company might opt for Web services to create a bespoke W2P solution. Coreprint can also plug into or integrate with all MIS software, ensuring a completely efficient and streamlined workflow for the printer,” explains Emma Mortiboy, marketing manager, Vpress. StoreFlow is a scalable solution from XMPie, a Xerox company. Already serving a variety of print environments, the company recently introduced new products to expand into packaging, labeling, and large format. Clients can host the solution locally, on a co-located server, or in the cloud. StoreFlow is built on XMPie’s uProduce platform, a document management and production engine. “By having a robust composition engine under the hood, our customers offer a range of catalog products from static documents to graphically complex VDP. Additionally, our customers can also accept ad hoc documents uploaded by the print buyer. Supporting a broad range of document types is a core strength of StoreFlow,” notes John Arnsdorf, product marketing manager, XMpie. In addition, APIs are available for custom programming. XMPie enables end-to-end automation, including order acquisition, prepress, production, and fulfillment. The ecommerce component handles user, product, and order management; payment gateways; real-time shipping via integrated partners as well as support for multiple currencies, languages, and tax rates. The company engineered StoreFlow 8.0—released early last year—to help customers to better build and manage mobile-friendly storefronts. YEMO Connect & Interact B.V. provides hosted and licensed solutions for multiple commercial print settings, including marketing services, packaging and label printers, and large format printers. Its B2B storefronts offer Web-based file submission, multilingualism, and brand management, including online design tools. “Websites are responsive, thus work with ease on tablets and Apple iPads,” adds Digesh Thakore, business manager, YEMO. Back-end features include MIS, workflow, digital asset management, and media asset management integration. Clients are also attracted to the solution’s flexibility and customizable approach, according to Thakore. Click here to read part one of this series, which highlights W2P solutions from A to O.